WASHINGTON — The bipartisan border security compromise struck on Monday includes a provision that could give the Trump administration broad discretion to increase the number of slots to shelter detained migrants, a win for Republicans that could ease the sting of President Trump’s failure to secure full funding for his border wall. On its face, Monday’s agreement, which still requires passage and approval by the president, authorizes Immigration and Customs Enforcement to fund about 40,000 detention “beds,” many of them in facilities run by nonprofit organizations near the border in Texas, Arizona and California. But a summary of the provisions drafted by Republican staffers on the Senate Appropriations Committee presents a different picture, and one that could be a victory for the White House in an otherwise drab and wall-free deal. The document, provided by an aide to a senator who was reviewing the compromise, places the average number of beds funded under the deal at a much high number — 45,274, including 2,500 slots for families. And that number could rise to as many as 58,500 beds, Republican aides claimed in their internal communications. “The notion that Congress shouldn’t spend more than one dollar on new border barriers, and the idea that we should impose a hard, statutory cap on ICE detainees in the interior of the country which would require the release of criminals into the United States” were rejected, said Senator Mitch McConnell of Kentucky, the majority leader, in a statement on Tuesday. 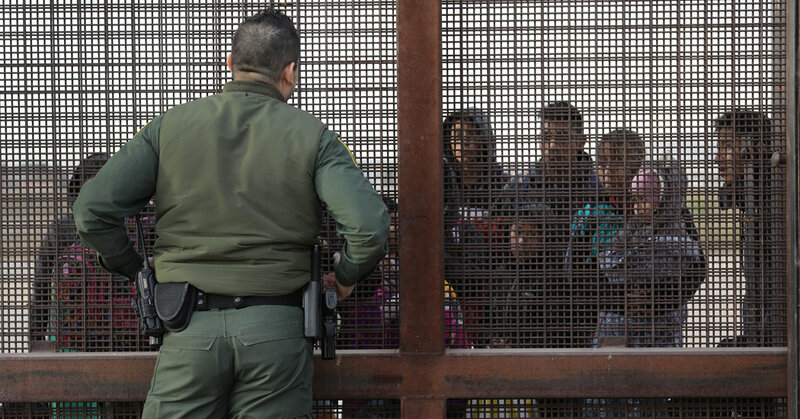 Democrats downplayed the Republican notion that the deal gave too much leeway to the Department of Homeland Security to move funding around to expand detention facilities. Mr. Trump was weighing whether to sign the current deal, and then take either an executive action to reprogram dollars or even declare a national emergency, knowing both will end up in court, or ask for a yearlong stopgap spending bill that might not even clear the Senate. A few weeks ago, in a meeting with restrictionist immigration group leaders, Mr. Trump faulted the former Speaker Paul D. Ryan for not repeatedly deferring action on the wall, with promises of doing it down the road. “Now he’s out fishing!” Mr. Trump declared, according to an attendee. A little girl named Abcde was mocked by a Southwest gate agent. The airline has apologized. California Today: Is the Next Hacking Frontier Being Developed in California?